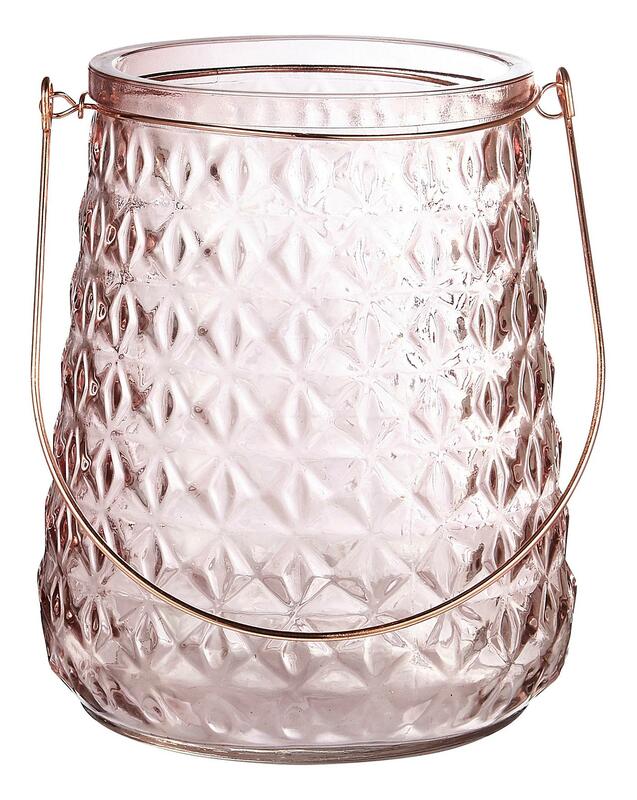 Decorate your home with this beautifully coloured glass lantern. 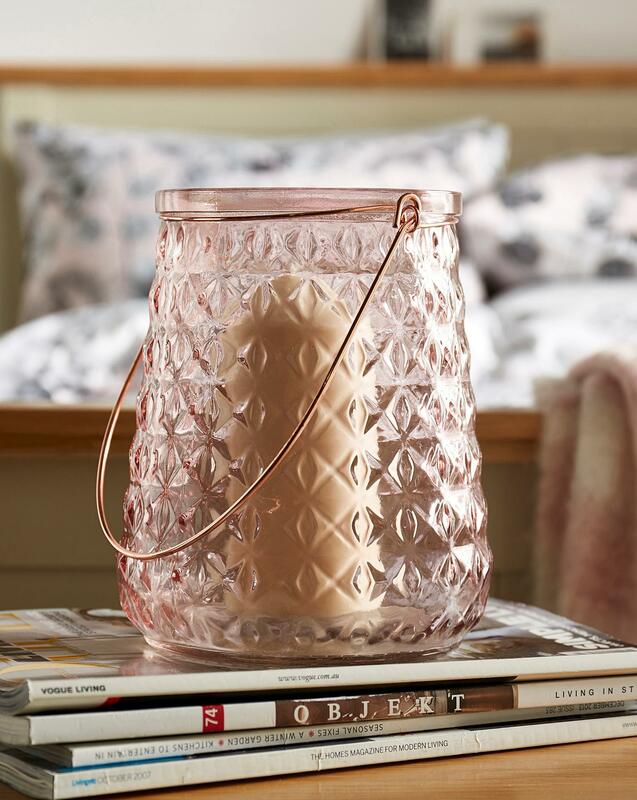 The copper handle will add a modern touch to any room. 16.5 x 16.5 x 20cm.